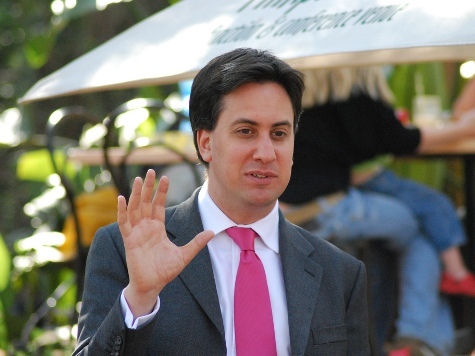 As the United Kingdom moves towards the concept of federalism, it seems England would remain the only country without its own parliament and devolved decision making powers under a Labour government, as opposition leader Ed Miliband repeatedly refuses to give his support to a permanent answer to the long-standing ‘West Lothian question’. The infamous constitutional conundrum, whereby Scottish, Welsh and Ulster Members of Parliament can vote on matters that only affect England, but English MPs have no say on regional matters has been unresolved for decades. In return for their voting to remain in the United Kingdom, Scotland has been promised significant new powers on top of what they already have, which will continue to skew the distribution of power in the UK towards the regions and has placed the question in the spotlight. Speaking on Friday, the Prime Minister David Cameron said “Just as Scotland will vote separately in a Scottish parliament on their issues of tax, spending and welfare, so too England as well as Wales and Northern Ireland should be able to vote on these issues, and all this must take place in tandem with and at the same pace as the settlement for Scotland. I hope this is going to take place on a cross-party basis. I hope the Labour party will contribute”. It appears Cameron may be frustrated in that respect, as Labour leader Miliband has refused to back it. When interviewing Miliband on his Sunday morning BBC show, Andrew Marr said:”a huge number of people in England say yes, that is fair, it is absolutely fair. Why should Scottish MPs be able to vote on taxes in England, if English MPs aren’t able to vote on taxes in Scotland. They are right about that, aren’t they?”, but Miliband dodged the question. His refusal to support English home-rule, along with his 40 Scottish MPs has led to accusations that he is seeking to protect his inbuilt electoral advantage at the expense of a proper constitutional settlement. As the 2015 general election approaches the Westminster parties are drawing battle lines to differentiate themselves in preparation for the vote. Depending on the outcome of the Prime Minister’s emergency conference at Chequers tonight, it may transpire that Labour and the Conservatives run against each other on the matter of an English parliament.